Strategic partnerships between brands can be a mutually beneficial relationship. Partnering allows established brands to reach new markets, gain greater distribution and dovetail on their partner’s previously established momentum. 2015 saw no shortage of innovative brand partnerships come to fruition. Apple defines its Hermes-branded watch as “the culmination of a partnership based on parallel thinking, singular vision and mutual regard.” That boils down nicely to a partnership of two highly esteemed brands, making Apple's must-have wearable even more covetable with a luxury fashion boost. Given that Apple Watch’s biggest criticism has been its design aesthetics, offering an upscale version with Hermes handmade leather straps and an exclusive watch face ups the cool factor considerably, extending the reach of the Apple Watch from techies to more fashion conscious consumers. Retailing at a significantly higher price point than the regular Apple Watch, this partnership represents a status symbol as much as a beautifully designed and highly functional watch. It’s only fitting that luxury cars should be packed with upscale luggage, right? With an eye on materials, quality, design and functionality, the BMW Montblanc partnership aims to unite the many sides of contemporary luxury. Montblanc’s line of products are designed to match the BMW 7 Series for everyday driving and extended trips. Luxury partnerships like this one might have a more niche market -- those who already drive new BMWs -- but that market can afford to match their gear to their wheels, making this feel like an authentic partnership for the design-minded. Last fall the French couture label Balmain partnered with H&M to offer runway looks at slightly more real-world prices. Judging by the swift sell-out and accompanying #Balmania hashtag, the collaboration was a major success. Balmain got a much-needed shot of relevancy in the digital age by bringing its ornate styles to a wider audience, promoted by this year’s hottest model, Kendall Jenner. Following in the wake of Target’s successful high end partnerships, H&M expanded its range from fast fashion to high fashion in this much-hyped partnership. Taiwanese airline EVA Air recently unveiled its Hello Kitty-themed Boeing 777 with new service between Taipei and Houston. The colorful planes, adorned with the iconic Japanese cat cartoon and all of her friends, are sure to stand out at terminals. The branding extends to the entire flight experience with over 100 Hello Kitty-branded items inside the plane. As Hello Kitty has grown from a picture on a coin purse to a $7 billion per-year phenomenon in its 40 year lifespan, EVA’s branding aligns with Asia’s favorite cat for greater exposure and a fun take on flying. Ford’s branded content partnership with Hearst took “Built Ford Tough” to new levels with over 120 pieces of original editorial content. Running with the slogan “The Code,” this content conveyed a set of skills and tools that every Ford man should possess. Running in Esquire, Popular Mechanics, Road & Track and Car and Driver, the Ford F-150 lifestyle organically reached its target audience with thoughtful content offering practical lifestyle advice. As the world geared up for the premier of the seventh Star Wars movie, brands hopped on the bandwagon of George Lucas’ record-breaking space saga with products marketed around the franchise. Covergirl’s Star Wars makeup line is interesting, because the franchise has been marketed in the past more to men than to women. The limited-edition makeup set features two product lines that embody the Dark Side and the Light, proving that Star Wars has equal draw for both sexes. Designed by legendary makeup artist Pat McGrath, the 19-piece collection features quotes from the film that target a beauty audience that may have been there all along -- just see Princess Leia’s braids. Burberry’s partnership with LINE, Japan’s top messaging app, represents another tech-savvy move for a traditional luxury brand that has become increasingly open to digital upgrades. With over 50 million users, LINE gives messaging a unique spin with its popular stickers, or cartoon-like emojis. Outfitting two of LINE’s most popular characters in Burberry plaid is a groundbreaking way for a fashion brand to reach a huge audience with special offers and campaign news. Starbucks is the original coffee-shop-with-music venue, so it seems only natural that it would partner with Spotify to bring music into its franchises in new ways. Starbucks employees will receive a premium Spotify subscription that they can use to curate music to playlists featured on Spotify. Users can also earn My Starbucks Reward points through the music app. As Starbucks announced earlier this year that it will no longer sell CDs, the leap to Spotify keeps both brands relevant throughout the day, from the morning coffee to an afternoon pastry and playlist. Known for its Swedish meatballs as much as its affordable furniture, IKEA recently launched a line of products called Lattjo, which aim to bring more fun into everyday lives. By partnering with Dreamworks to animate the collection of toys, instruments and costumes through a series of short films, IKEA gets a boost from one of the most imaginative film studios around. Creating stories about Lattjo’s characters not only gives the collection a greater context, but it also serves as a digital gateway as IKEA prepares to roll out its first children’s digital experience with a Lattjo-connected app. Dreamworks has established credibility among children, while IKEA has already won over parents with affordability -- making a powerful duo for promoting play. UNICEF’s recent Kid Power partnership with Target merges a philanthropic initiative with a wellness-wearable device. As kids in the U.S. complete fitness-based missions, they earn points that can be used to “unlock” therapeutic food packets that UNICEF delivers to malnourished children around the world. 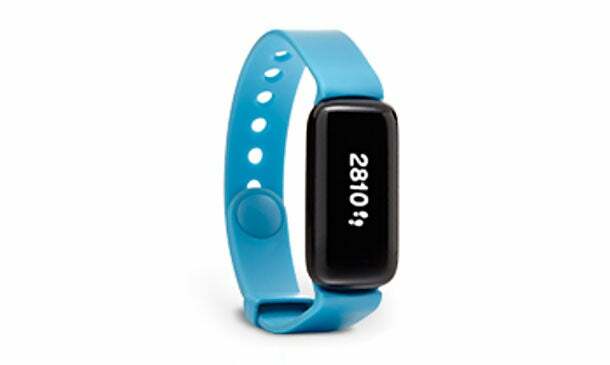 Partnering with Target -- which will retail the fitness trackers for $39 -- will allow UNICEF to reach a projected audience of 70,000 kids in the next year. The combination of encouraging healthy living with greater global awareness is a promising partnership. Effective brand partnerships have to feel synergistic. Both parties need to bring something interesting to the table -- otherwise consumers will view the partnership as merely a marketing gimmick. As these creative partnerships demonstrate, the power of pairing up boosts revenue, audience and reach in ways that make it exciting to see what 2016 will bring on the branding front.